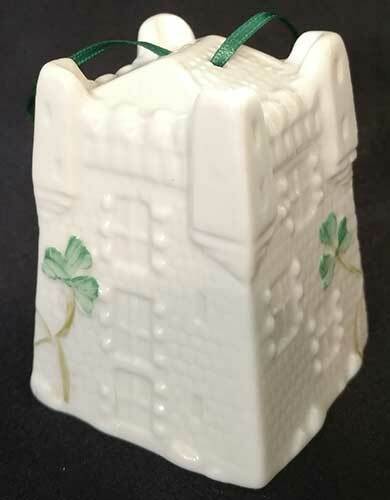 Belleek ornament features a verse from the Irish blessing along with green shamrocks. 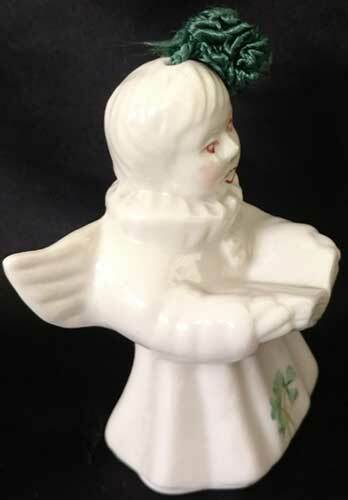 Belleek Irish angel ornament is holding a song book while singing. 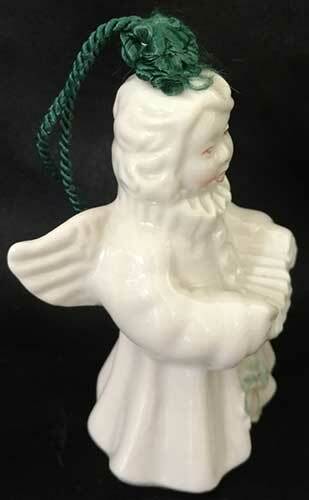 Belleek Irish angel ornament is playing the accordion. Belleek bell ornament features a partridge in a pear tree embossed on fine china. 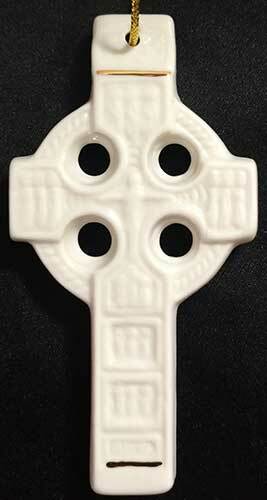 Belleek Celtic cross ornament is a double sided design that is enhanced with embossed detailing and gold accenting. 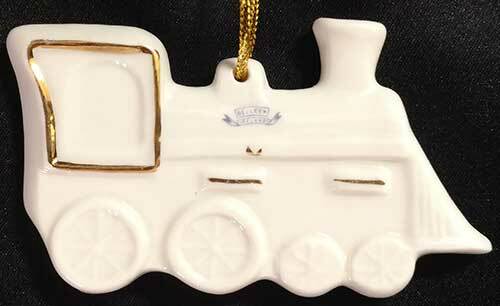 Belleek train ornament features a double sided locomotive. 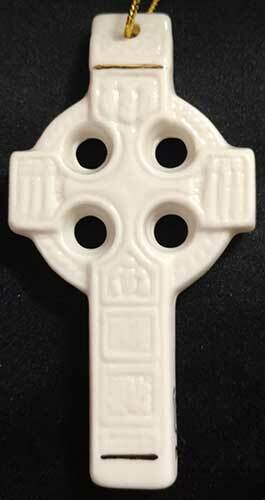 Belleek ornament is a miniature china plate that features and Irish Christmas blessing. Sorry, this Irish Christmas ornament is now sold out. 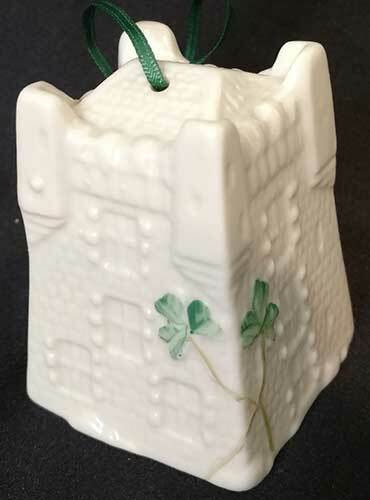 The Cathedral Bell is the 9th annual Christmas ornament from Belleek China. Belleek bell ornament features three French hens embossed on fine china. Belleek bell ornament features turtle doves embossed on fine china. 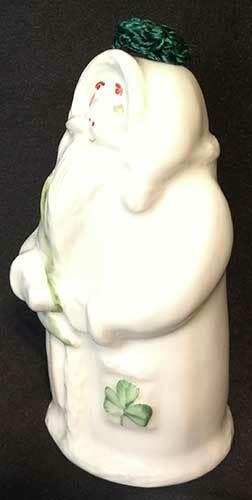 Belleek Santa ornament is a fine china bell that features Old Saint Nick holding a Christmas tree. 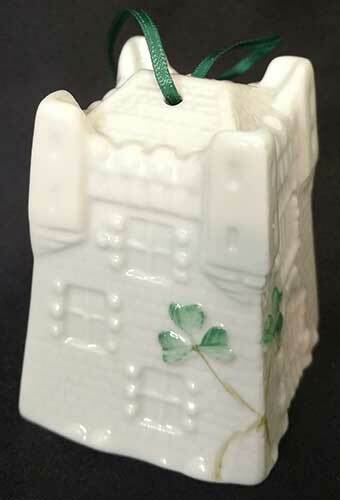 Belleek 7th annual Christmas ornament is the Castle bell. 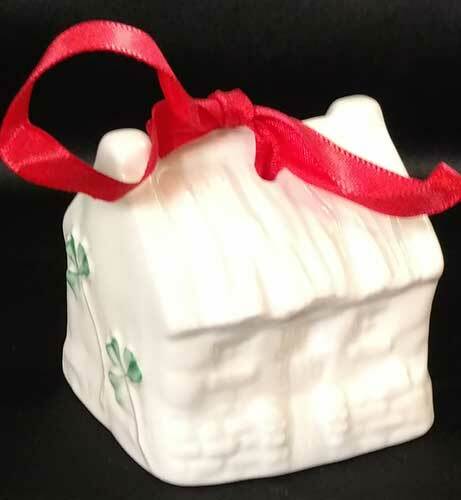 Belleek 5th annual Christmas ornament is the Cottage bell. 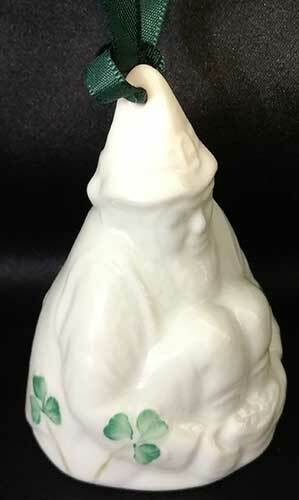 Belleek 3rd annual Christmas ornament is the leprechaun bell. 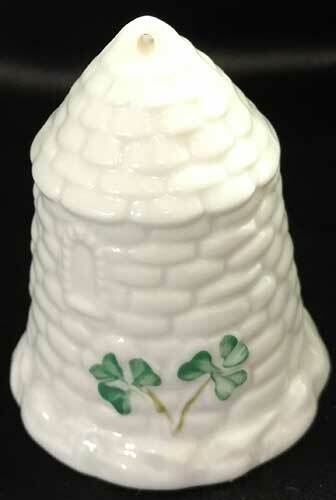 Belleek 2nd annual Christmas ornament is the round tower bell.